Well I guess this might be the name of the new university which will be started by software giant Microsoft in Bangalore, India. Microsoft is setting up an university for the first time ever to train students in Microsoft technologies. Even though Microsoft funded many educational projects, this is the first time they are planning to own and run an educational institute. 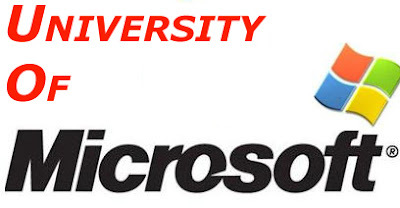 As per to TOI, to start with Microsoft university may train around 1,000 students. Microsoft has already opened development centers in Hyderabad and Bangalore.